If you have any questions about the LE YANA information page below please contact us. From the Baglietto yacht builder in Italy the LE YANA is 43 m 140 (ft) in length. Launched in 2007 her reasonably recent interior design showcases the perspicacity emanating from the boards of Paszkowski / Pedro Pena. Superyacht LE YANA can accommodate up to 12 people with 9 professional crew. The old, former or build project names were Macalulu. She can reach a high speed of 16.5 knots. 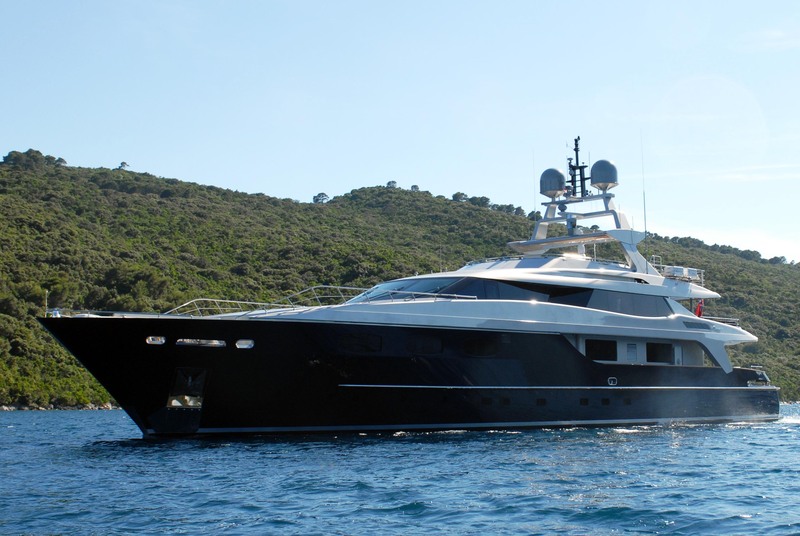 Baglietto was the naval architect involved in the formal nautical design work for LE YANA. Also the company Baglietto skillfully worked on this venture. Interior designer Paszkowski / Pedro Pena was employed for the internal internal ambience. Italy is the country that Cnb Yachts (Cantieri Navali Baglietto) completed their new build motor yacht in. After the formal launch in 2007 in Varazze the boat was thereafter handed over to the owner following final finishing. Her core hull was constructed with steel. The motor yacht main superstructure is made mostly from aluminium. With a beam of 8.9 metres / 29.2 feet LE YANA has spacious size. She has a fairly deep draught of 3m (9.84ft). The 3512B HD engine installed in the motor yacht is built by CATERPILLAR. Her propulsion units are twin screw propellers. The main engine of the ship gives 1950 horse power (or 1455 kilowatts). She is equiped with 2 engines. The total power for the boat is accordingly 3899 HP / 2910 KW. Providing chambers for a maximum of 12 yacht guests sleeping aboard, the LE YANA accommodates them in style. She also carries approximately 9 proficient crewmembers to maintain and sail. 42.75 metres / 140.26 feet. Giving the combined power of 3899 HP /2910 KW. 16.5 nautical miles per hour. Magaluf. Spain. Illes Balears. Balearic Islands. On October 2009 LE YANA visited Magaluf, in Spain. LE YANA also navigated the waters around Illes Balears during the month of Sept 2009. 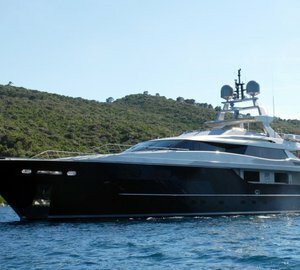 The luxury yacht LE YANA displayed on this page is merely informational and she is not necessarily available for yacht charter or for sale, nor is she represented or marketed in anyway by CharterWorld. This web page and the superyacht information contained herein is not contractual. All yacht specifications and informations are displayed in good faith but CharterWorld does not warrant or assume any legal liability or responsibility for the current accuracy, completeness, validity, or usefulness of any superyacht information and/or images displayed. All boat information is subject to change without prior notice and may not be current.